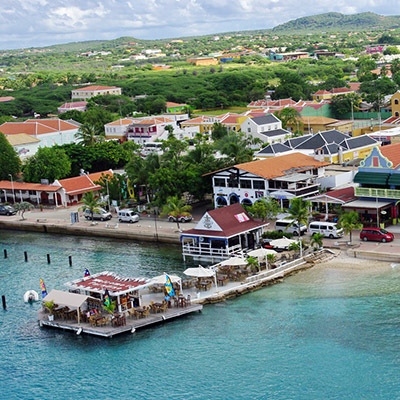 Bonaire is a small island located in the southern Caribbean known for its pioneering role in the preservation of nature, in particular the preservation of the marine environment, and for its excellent scuba diving, snorkeling, and windsurfing, among other things. Kayak in the mangroves, the gentle bay or venture out into the open ocean for a real challenge. Enjoy the nature of the land cycling or mountain biking. Warm and friendly people welcome you to their tranquil island that also offers a lively nightlife, fun places to see and world class restaurants. Bonaire is known worldwide for its diving. Amazing as the diving is, there’s much more to do on Bonaire. You can sign up for kayaking session where it takes you through the pristine mangrove system – an environmental wonder. Visit the west coast and see the flamingo viewing lake called Goto Mere. Spend some time in the National Park enjoying the beauty of nature or the many rock formations in this region. As part of the ABC Islands (Aruba, Bonaire, Curacao) the Dutch influence is very strong. Hence you can always find an excellent meal in whatever category you choose. From Local, seafood, Italian, Indonesian, Chinese, there is something to satisfy each individual. Note that a service charge is usually added to the bill (approximately 10-15%). Dress code on this island is casual. You need to allow four to six weeks for all the paper work. One of the couple needs to procure a temporary residency permit from immigration.